When shopping for a family car, you are probably entering the dealership with a list of things you are looking for. Every family is unique, which means every family prioritizes something different in their perfect family car. 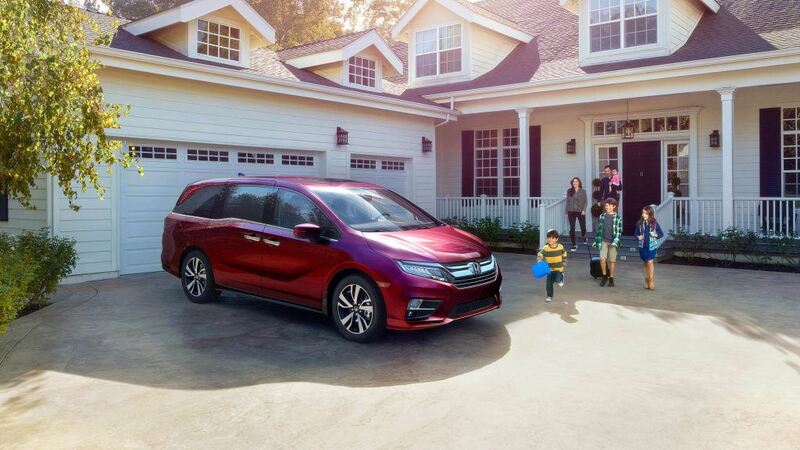 With a wide range of safety features, convenience features, and cargo and passenger capacity, there is a Honda vehicle that is a perfect fit for every family. The Honda Odyssey is a class-leading minivan with enough passenger seating to fit everyone comfortably. The Odyssey sits up to 8 people, with a maximum storage space of 144.9 cubic feet, enough room for everything as you shuttle from school to sports games. The Odyssey comes with optional Honda Sensing features to keep everyone safe, and CabinTalk and CabinWatch features to make even the longest drives easier. Honda’s three-row SUV, the Honda Pilot, offers superior value, interior space, refinement and fuel economy over other SUVs in the same class. The Honda Pilot seats 8 passengers, with 83.9 cubic feet of cargo space. The Pilot offers available Honda Sensing features, including forwarding Collision Warning System and Collision Mitigation Braking System. The Pilot also includes a rear entertainment system to keep passengers in the second and third rows entertained during a long drive. To keep everyone comfortable at all times, tri-zone automatic climate control is also available. The Honda CR-V is safe, smart and worry-free for families. The compact SUV seats up to 5, with a maximum storage space of 75.8 cubic feet. The Honda CR-V comes with Honda Sensing features, an Automatic Climate Control System and available Bluetooth connectivity. The CR-V also features available Apple CarPlay and Android Auto, keeping you connected and hands-free while driving. Also available is the HondaLink system, which offers helpful features to make your driving experience easier and access to your vehicle’s mileage and fuel level status, even when you are not in the vehicle. For more information on what Honda model is the right fit for your family, visit our team at Henley Honda today.